More than "One Way" to fun! 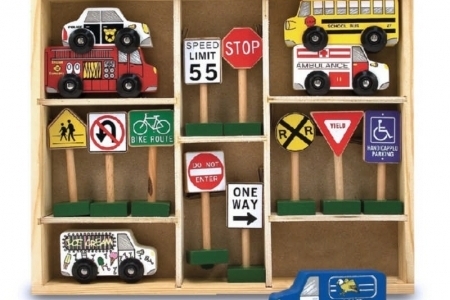 Ten familiar traffic signs and six community vehicles are ready to direct traffic or expand pretend play. Hand painted, these wooden accessories are great for block play and are compatible with popular wooden railway sets. Similar products can be found under the vehicle sets category.